The intuitive dashboard is one of the first things you’ll notice after you sign in. 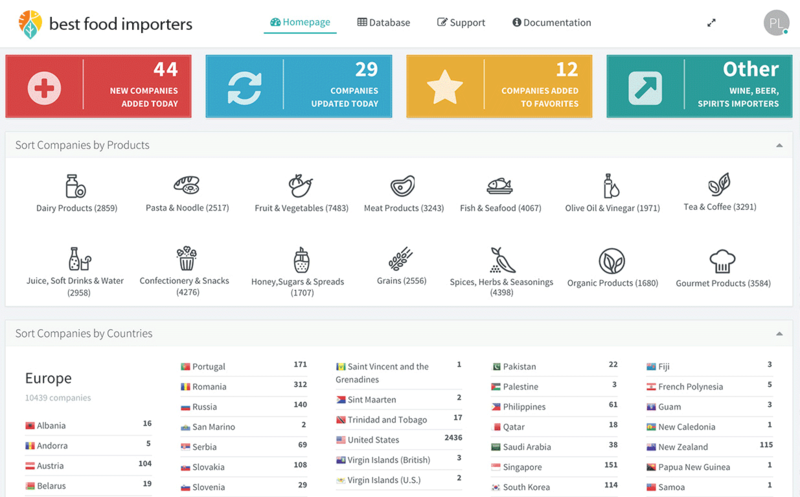 A quick look at the numbers and you’ll be able to see the most recent importers and distributors that have been added and be among the first to get in touch with them. Our databases include advanced filtering options which allow you to target the companies that are interested precisely in the product you’re offering. 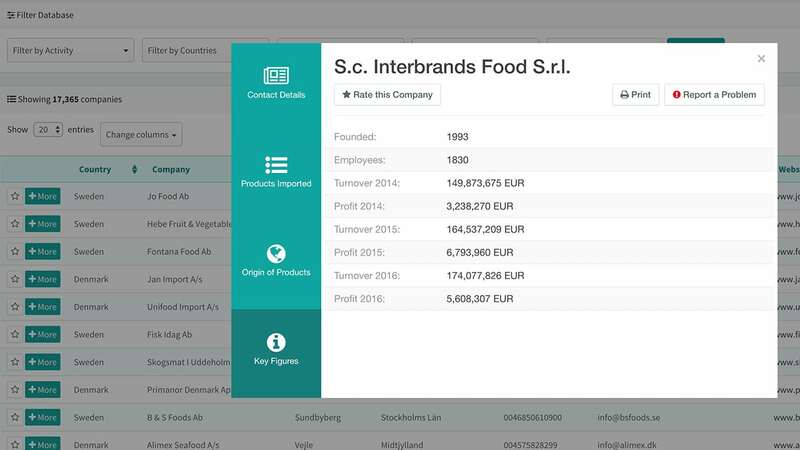 You can select the main categories of products that the companies import or make more advanced selections to view the importers of specific subcategories of products (e.g. Fish & Seafood -> Seaweed, Tuna, Frozen Fish). We are the only company that offers the possibility to filter the companies which import products that originate from a selected country (e.g view the importers of olive oil produced in Greece). 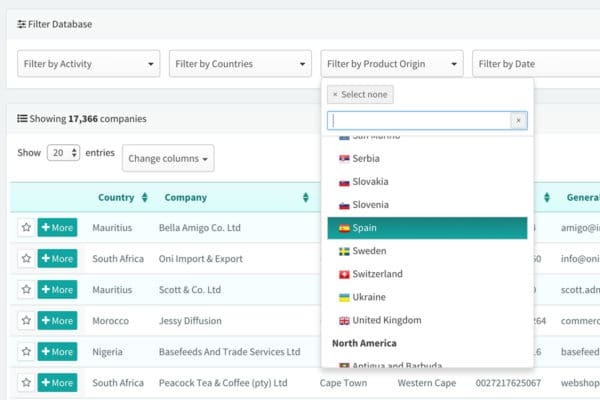 Other filtering options include the country in which the importers/distributors are located or the date when the entries were added to our database. For each company included in the database we offer complete and up-to-date contact information including: company name, phone number, fax, email address, website address, headquarters (country, city, street, postal code). 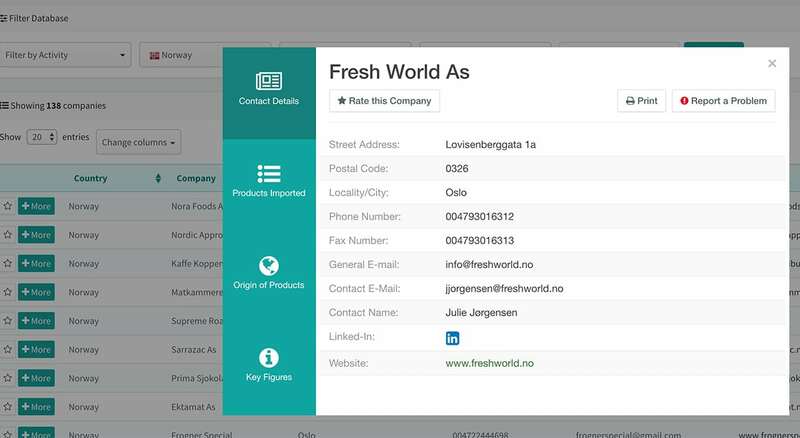 The email addresses can easily be exported and integrated with other marketing software solutions. 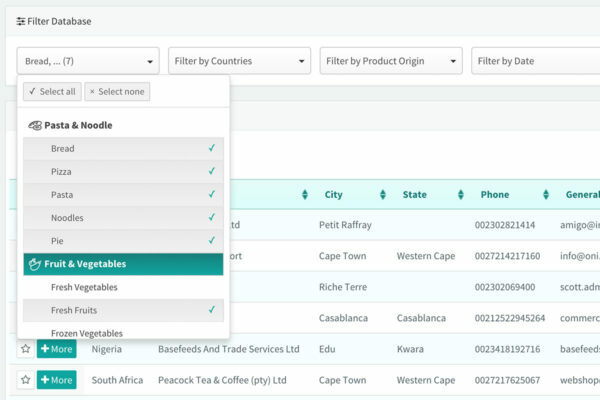 The dashboard also allows you to consult the list of importers and distributors that you have marked as favorites. 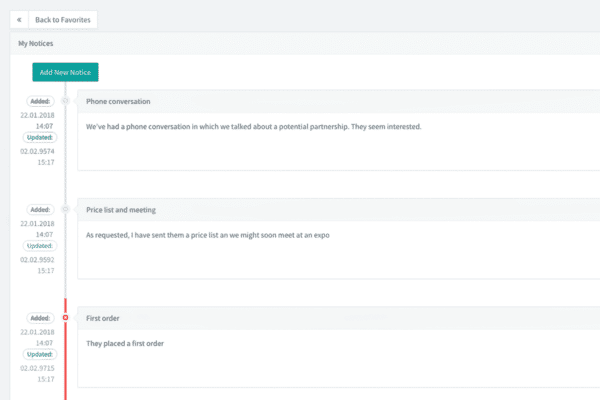 You can save any importer in a list of favorite contacts and add personal notes that record your interaction with them (e.g. sent offers, received feedback, arranged a meeting at an expo). 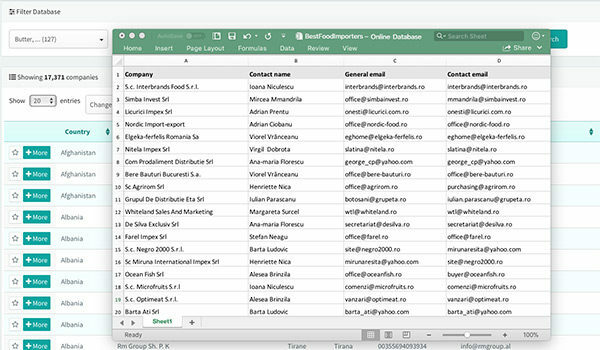 All the companies listed in the databases include at least one email address. But for some companies we even offer the email addresses of the purchasing department. As a result, you know exactly who you are writing to, and you know who is replying to your emails. It helps you connect with that company’s representatives on a closer, more personal level. Often you will be interested in the top importers from a specific country. To help you create such a list, our databases give you access to the following information: sales figures, profit, financial details, year established, and so on. You get all these key figures in one place and don’t have to waste time reaching out to other services. Financial data is available for some countries only.